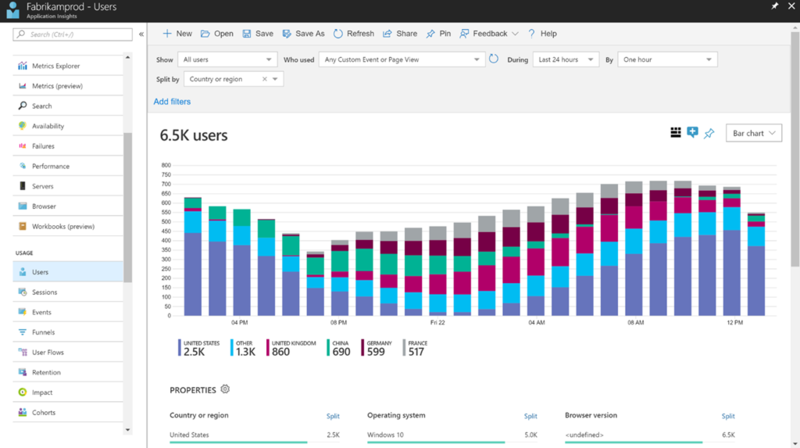 At Microsoft Build 2017, we introduced a set of user behavior analytics tools for Application Insights as a preview. Since then, we’ve listened to your feedback, adding additional capabilities and squashing bugs. We’ve also used these user behavior analytics tools on themselves, finding opportunities to improve your experience without you even having to ask! With this additional polish, today we’re graduating these tools out of preview to general availability. You can expect these tools – Users, Sessions, Events, User Flows, Funnels, Retention, Cohorts, and Impact – to be stable, well-supported parts of Application Insights going forward. How can I try these tools? A lot! Users, Sessions, and Events were re-built from the ground up to be more responsive, load more quickly, and provide more insights automatically. 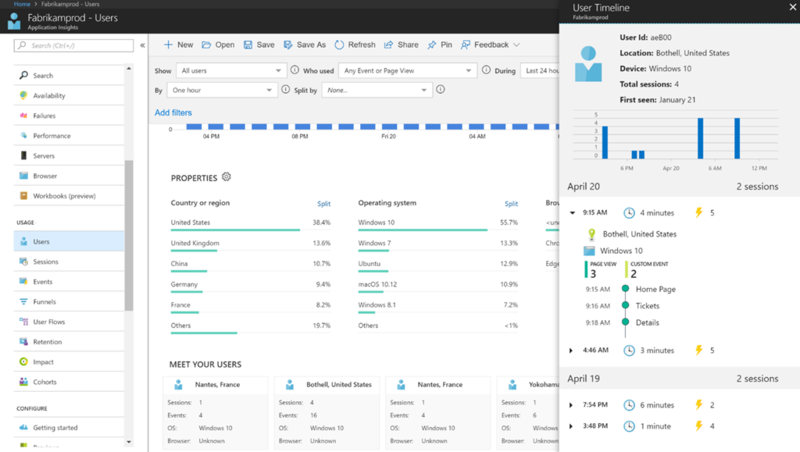 Learn more about Users, Sessions, and Events. We also added six major new tools and integrations including User Flows, Funnels, Impact, user and session timelines, Visual Studio App Center integration, and Cohorts. 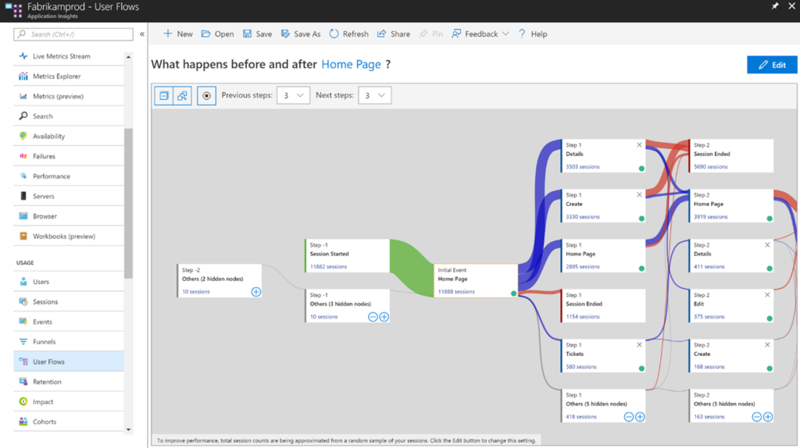 User Flows provides an at-a-glance view into how users navigate between the pages and features of your app so you can spot where they’re starting and ending their journeys, and what they do in between. Learn more about User Flows. Funnels let your team track conversion rates in detail for key journeys in your web app. You can analyze the users who completed and dropped off at each step to help your team improve your product’s conversion rates. Learn more about Funnels. Is your business leaving money on the table because of slow page load times? 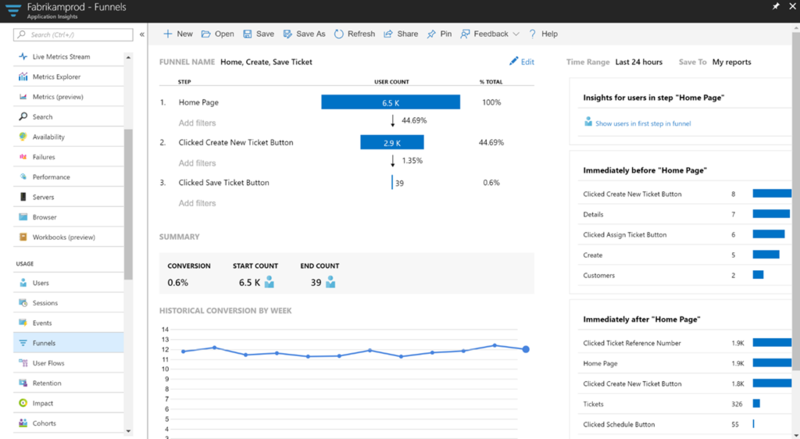 The Impact tool analyzes the relationship between page load times, or other metrics, and conversion rates to actions on the corresponding pages. This can empower your development team to invest in performance improvements in a data-driven way. Learn more about Impact. 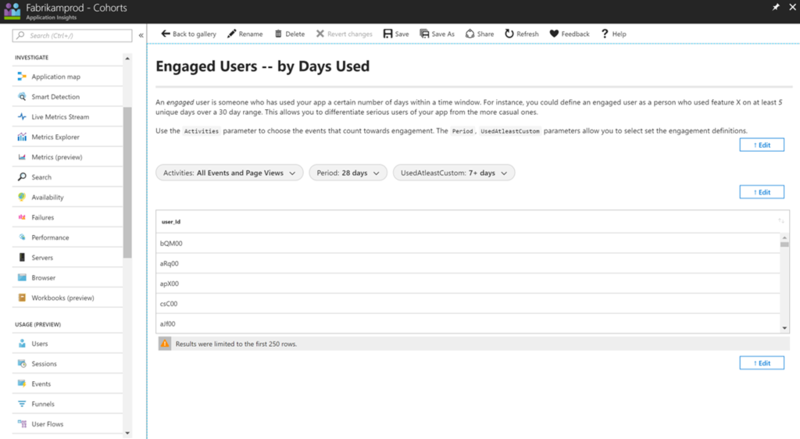 User and session timelines help contextualize user actions, exceptions, and other logs in terms of what customers were doing at the time the logs were sent. Cohorts lets you define precise groups of users, sessions, events, or operations so you can analyze them more easily in the other user behavior analytics tools. Learn more about Cohorts. Finally, these user behavior analytics tools go beyond web apps. 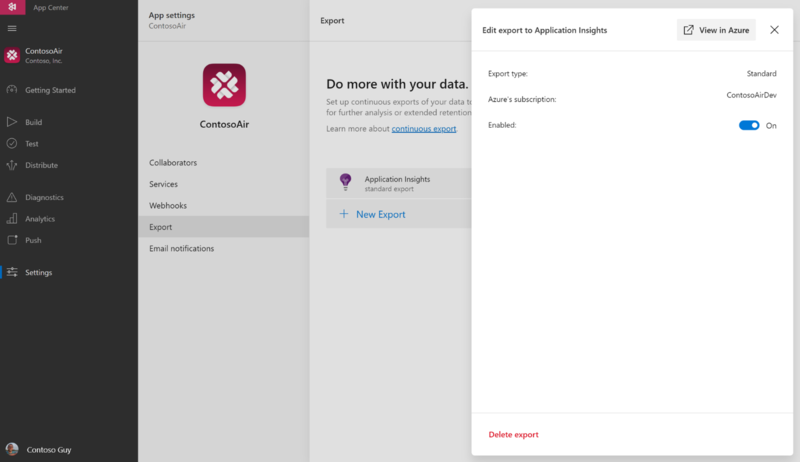 With Visual Studio App Center integration, you can send a copy of your App Center telemetry to Application Insights as it’s sent from your customers’ Android, iOS, and Windows devices. Then, you can use all these analytics tools in Application Insights on your mobile app telemetry. Learn more about App Center integration with Application Insights. Want to learn more? 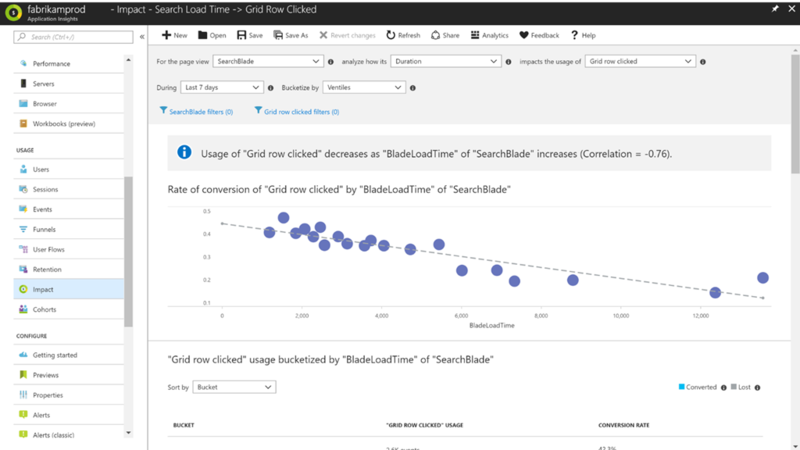 Get a deeper dive by visiting the documentation page for Application Insights user behavior analytics tools.